Food plots sometimes need a little boost to have a better chance to reach their full potential. 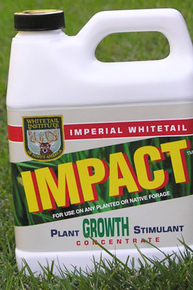 Impact Growth Stimulant helps plants grow deeper root systems so they can absorb more moisture and nutrients. The exclusive Impact formula contains three specific agents necessary for improved plant growth.